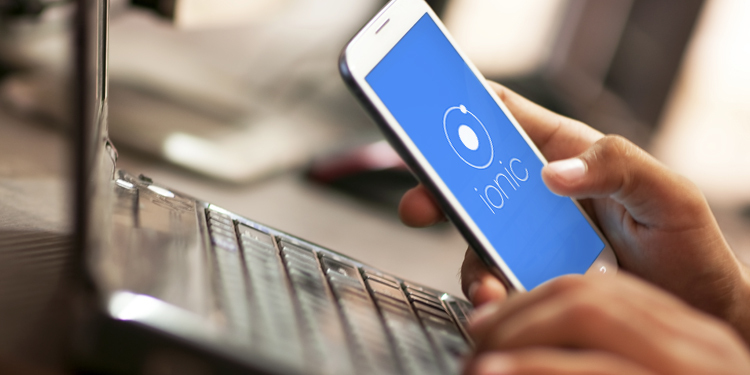 Using the Ionic application development framework to turn our responsive, accessible web tech into amazing mobile applications. At Industrial, we do amazing work on the web. The ability to take our knowledge of responsive design, accessibility and bring it into the mobile app space is extremely appealing. Luckily, we've had a few projects that have allowed us to dive right in. A mobile application framework that builds upon our knowledge of Angular/SASS, is best-in-class, while being free and Open Source sounds too good to be true. The beautiful, open source front-end SDK for developing hybrid mobile apps with HTML5. It's built using SASS. Check. It comes pre-built with mobile-optimized markup, helpers and JS components. Check. It allows you to build a quick prototype using their Creator tool. Check. They have their own apps (Ionic View) that allow you to preview apps on their respective platforms without having to publish through the Play/App Store. Check! All for the low, low price of free. Let's get rollin'. We're going to build a quick app that leverages existing extensions for offline database support and local storage. Some complementary code snippets will be provided where appropriate. Very handy guides and help exist on the Ionic site in the documentation, and in their forum (their forum uses Discourse which is another Open Source project that we love). This post assumes that you have NodeJS installed (or IO.js). You will need the Node Package Manager (npm) to install the necessary dependencies to build an Ionic application. The [blank, tabs, sidemenu] options determine the type of navigation you'll be using on the app. Choose one when starting your project. Now enter your new app folder. Open up your handy text editor and the new myApp project folder and you'll see the structure of the application you just generated. Once this is setup, open up the www and scss folders as that will be where the lion-share of your development efforts will be. But first, this particular application requires offline storage, localStorage and oAuth, so we'll start by adding some extensions. We'll be using the excellent ngCordova library that adds plugin support as well as a collection of plugins that bring a lot of great features to your app such as camera, geolocation, push notifications and many, many more. You can see the full list of extensions in their documentation. Once installed, you'll need to add it directly above the cordova.js script tag in your index.html file. Now you can install plugins. From your myApp folder, run the following to install the cordovaSQLite extension. In this case, we've added the Angular port of Mozilla's localForage library which provides a similar interface for localStorage but uses asynchronous storage such as WebSQL or indexedDB instead. While both libraries appear to provide similar functionality, in our example we'll be using localForage for transactional data where the cordovaSQLite plugin will be used for persistent data storage. cordovaSQLite is great, but we ran into an issue when running ionic serve functionality (LiveReload right out the box!) as the plugin wouldn't work in browser. Easy to work around, just add this to your run or main Application controller. An important thing to point out given the code snippet above is that the Ionic folks are using the Angular-UI ui-router project rather than the default ngRoute as it is far more powerful and tailor made for the framework. As you can see, you can have a functioning Ionic application with some extended features in very short order. Great for meeting with clients in working sessions where we can view, edit and update the application quickly, see immediate results and use what we love everyday. Our thanks and appreciation to the excellent folks over at Ionic for their amazing work and product. We're excited to see where it's going.